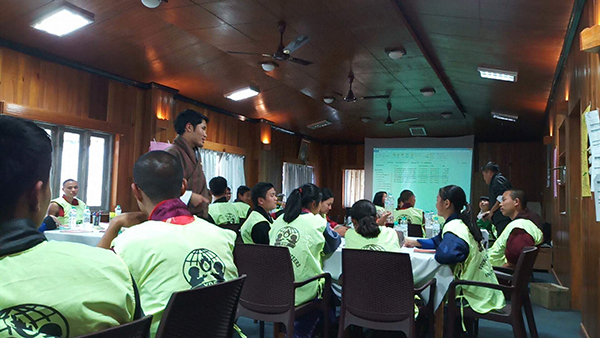 Furthermore, they attended the three-day ‘Civic Engagement’ training organised by Bhutan Youth Development Fund (BYDF) for the dzongkhag’s Y-VIA members. The training, which ended today covered topics on importance of youth volunteerism and participation in community vitality, and other social issues in the country. The Programme Officer of BYDF, Tenzin Wangchuk, said it is equally important to include monks in Y-VIA network to handle issues concerning them and the nuns. “There are lots of protection and right issues in monasteries as well. So I think if we train and sensitise them on these topics, they will be well equipped to address the issues,” he added. The Programme Officer also points out that through Y-VIA network, the civil society organisation could reach out to the people at the grassroots level. “BYDF aspires to work with all youth across the country. But since we cannot travel to every nook and corner of the country, we have established Y-VIA network to be an ambassador of BYDF,” asserted the Programmer Officer, Tenzin Wangchuk. Monk shared that they are willing to take active role in fulfilling the objectives of Y-VIA in Monggar. Other participants echoed similar views. “This training on civic engagement has reminded me why child protection and rights are important. It also made me realise that through youth volunteerism, we can make a difference in the society,” said Tshering Choden. The Y-VIA members in other districts will also undergo similar training, funded by the United Nations International Children’s Emergency Fund (UNICEF). The Young Volunteer in Action was initiated in 2003 with the objective of achieving Gross National Happiness through volunteerism and leadership. Today, there are 7000 members across the country.